Get more for your hard-earned money at our Harrodsburg, KY hotel. You will love our convenient location, friendly service and more. Amenities include free WiFi, free hot breakfast, an outdoor seasonal pool, a business center and copy, print and fax services. Guest rooms feature refrigerators and microwaves, premium bedding, work desks, flat-screen TVs and coffee makers. Our pet-friendly Harrodsburg, KY hotel is near Old Fort Harrod State Park, Shaker Village of Pleasant Hill, Big Red Stables and Anderson Dean Community Park. 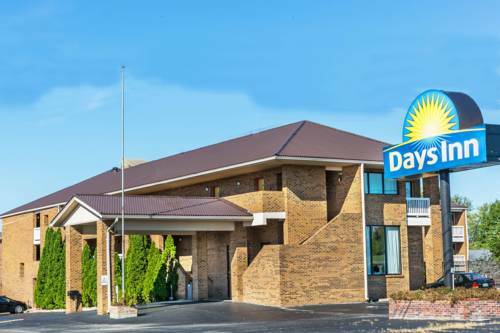 At the Quality Inn hotel, our affordable rates and central location lets you focus on making your trip a memorable one. Plus, you can earn rewards, including free nights and gift cards, with Our Choice Privileges Rewards program. Pets allowed 15.00 USD per night. Max 35 lbs, 2 pets per room. 50.00 USD refundable deposit for pets per stay.